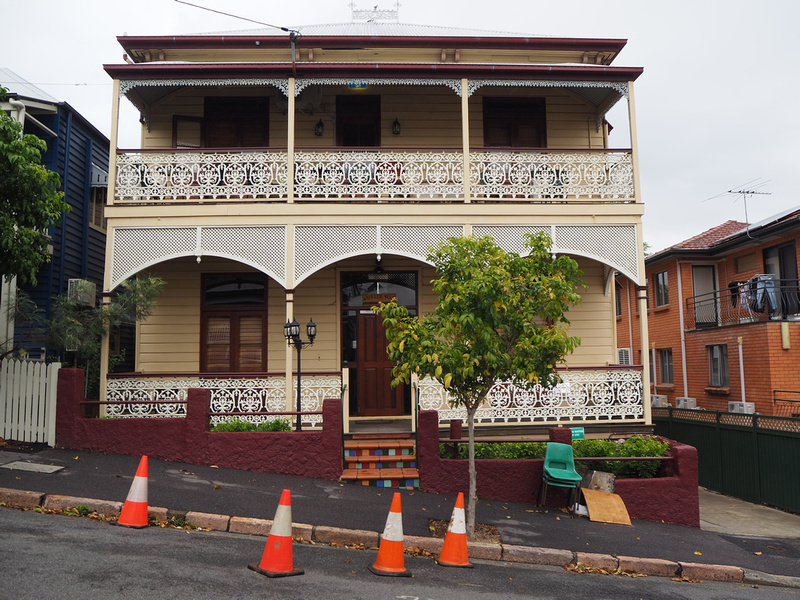 Address: 34 Cricket St, Petrie Terrace, Brisbane, QLD, Australia. 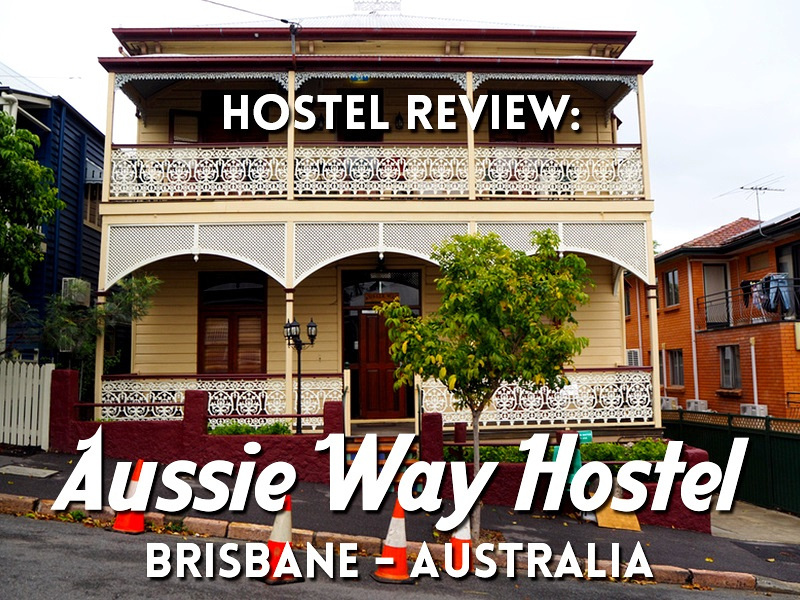 I stayed at the Aussie Way Hostel in Brisbane, Australia. I booked it online and picked it for its price and location in Brisbane. I was looking for a private room in a hostel, and this turned out to be ideal. 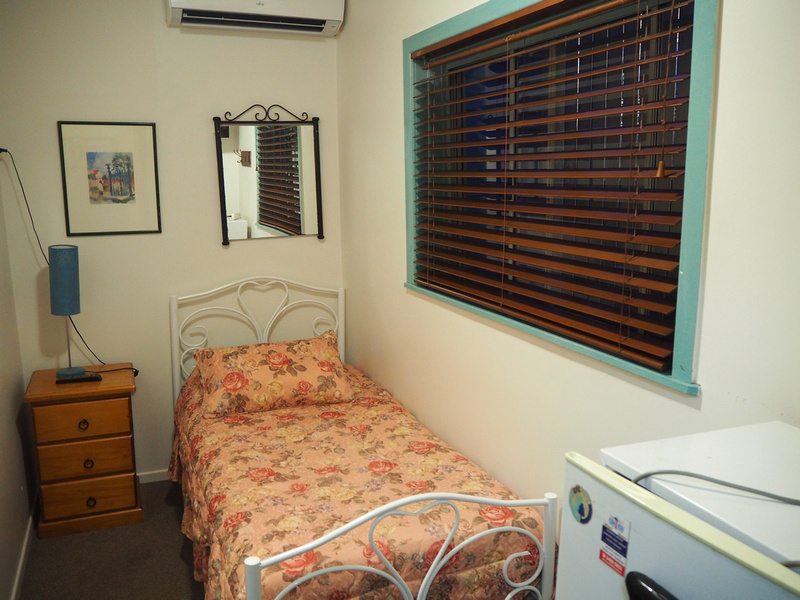 The Aussie Way Hostel is located near Roma Street station, which is a major train and bus interchange in the city. I was only passing through Brisbane, arriving at night and leaving mid-morning, so I wanted a place where I could get to and from my transport easily. It took about 10 minutes to walk from the station to the hostel, though it is a bit hilly and a confusing road to get there at first. It’s just outside the CBD, not far from Suncorp Stadium. When I arrived a football match had just finished, and there were Brisbane Roar fans everywhere. Cricket Street is a classic inner suburban Brisbane street lined with beautiful heritage houses. The hostel is in a heritage house as well. I got a private room with a shared bathroom. I like staying in private rooms in hostels as you get the benefit of meeting travellers but with your own space. I guess this is the definition of flashpacking. I just didn’t want to fork out for a hotel for such a short trip. The room was tiny but the bed was comfortable and it was all I needed for my stay. There is free wifi at the hostel, and unlike the hotel I stayed at on the way through Brisbane there was no data limit. Australian hotels are notorious for capping data, so this was a refreshing change. The shared bathroom was ok, at least it didn’t smell and was kept clean. They need some shelves and hooks though as there was no where to put towels and toiletries. 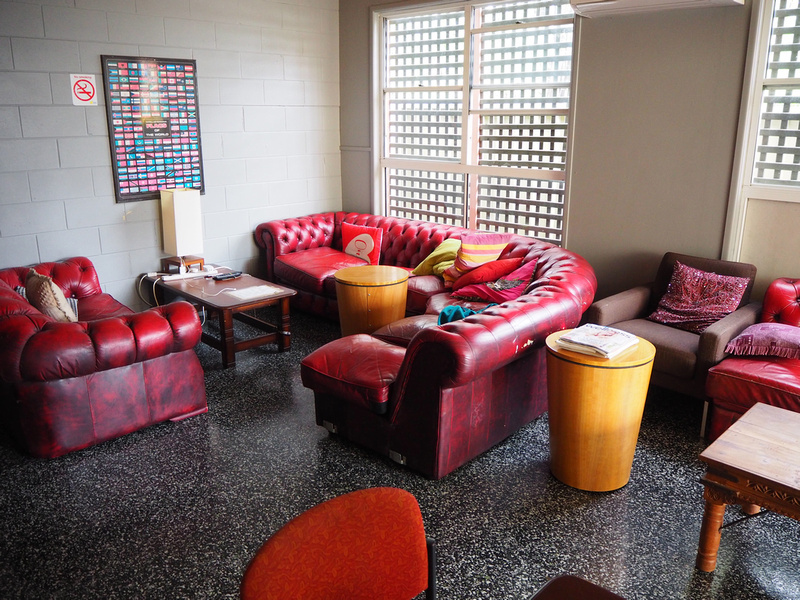 There is a lounge/common area in the main building, and there is a kitchen here as well for self-catering. The hostel also has a pool, which is not something you see every day in a hostel. 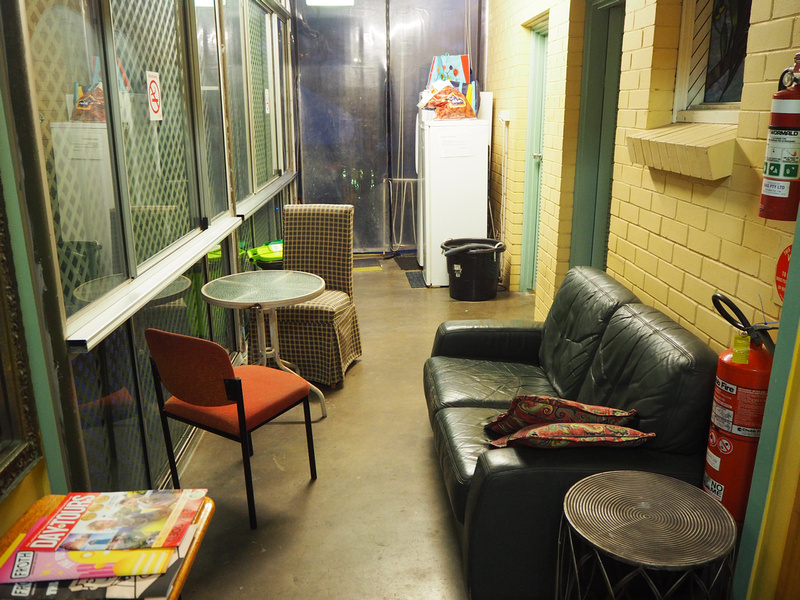 There is another lounge at the back of the building next to the reception/office. The hostel is near Caxton Street, which is a busy commercial streets filled with bars and restaurants. There’s also a Coles Supermarket here so you can get your self-catering requirements here. Overall this was an excellent place to stay in Brisbane. 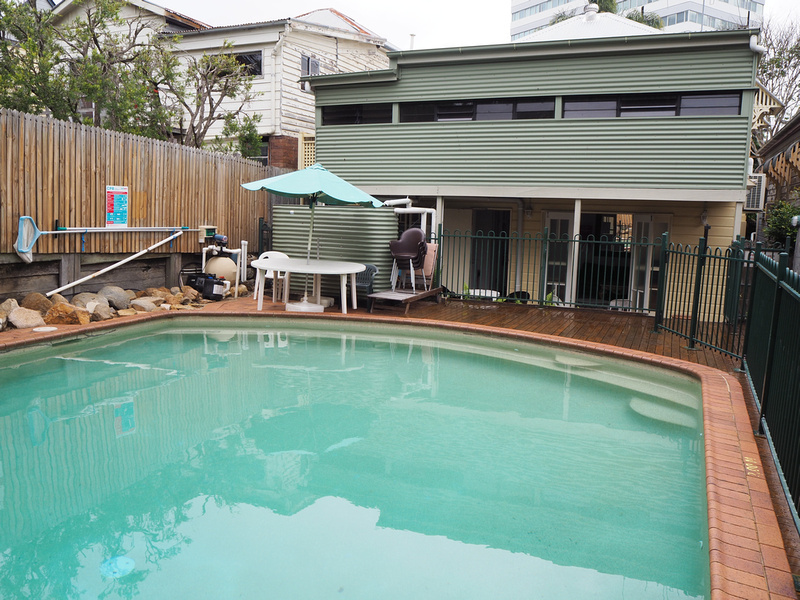 Book the Aussie Way Hostel online or search for more hotels in Brisbane.